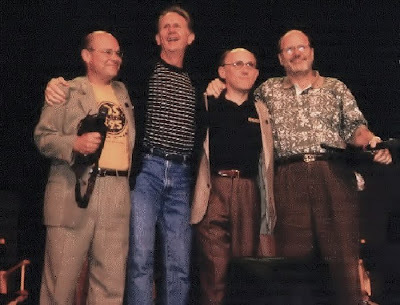 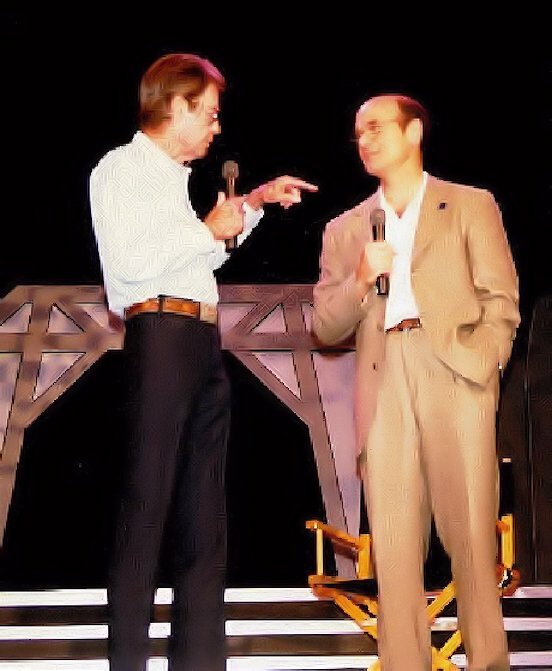 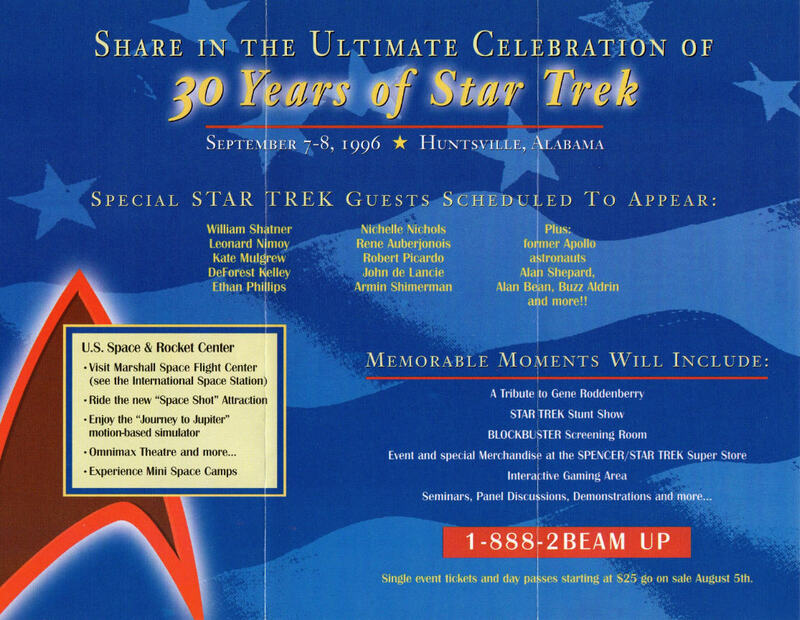 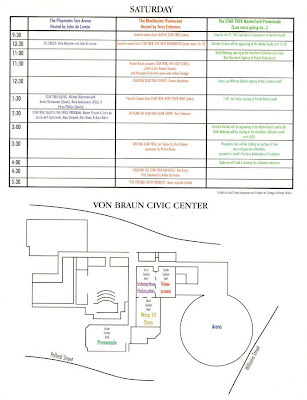 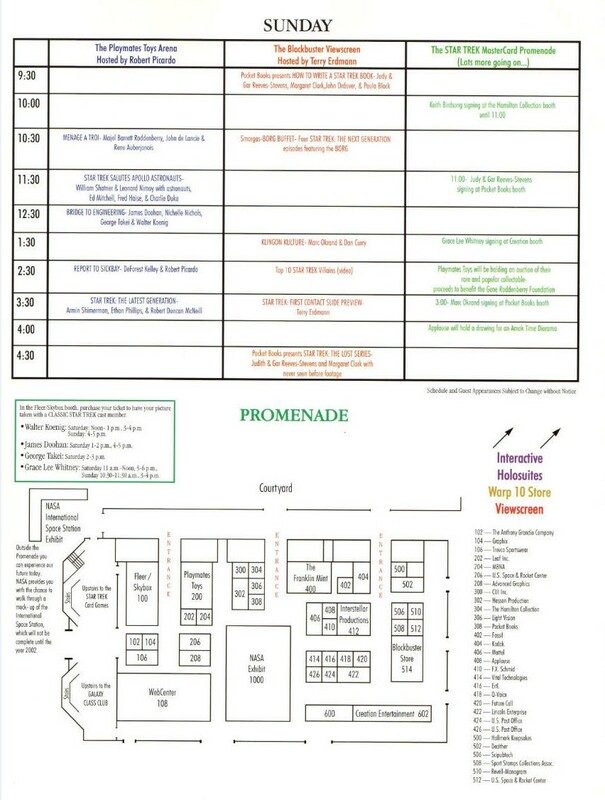 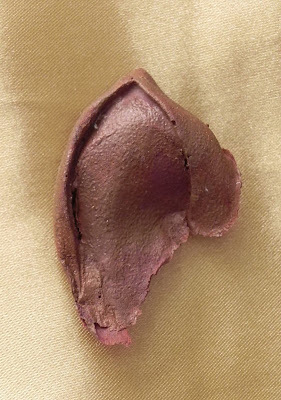 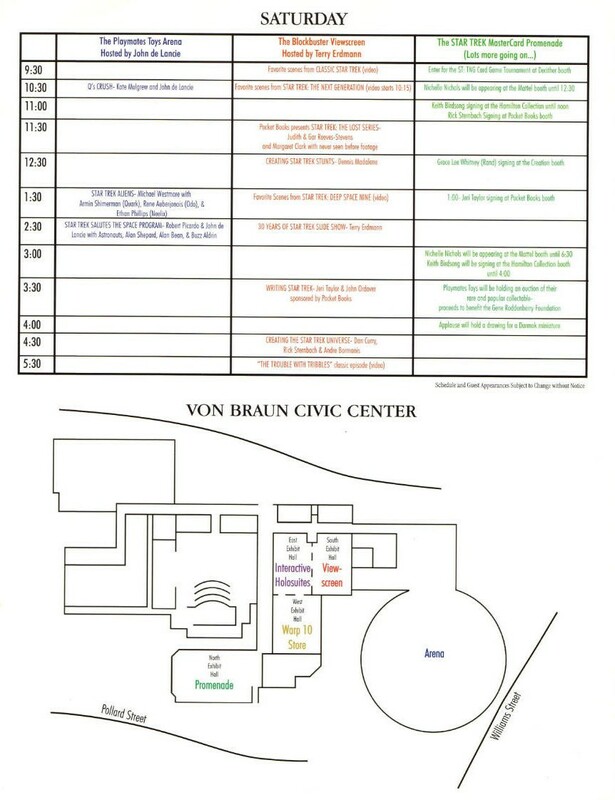 On Saturday, September 7th and Sunday, September 8th, 1996, a very historic Star Trek convention took place in Hunstville, Alabama in celebration of the 30th anniversary of the franchise. 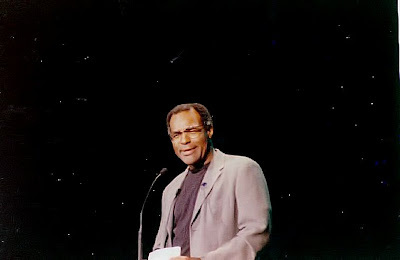 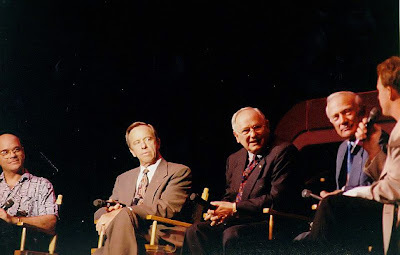 Named "Star Trek 30: One Weekend On Earth", this was the only Star Trek convention ever to have been directly sponsored and produced by Paramount Pictures; and featured both cast and production crew members from all four Star Trek television series in attendance. 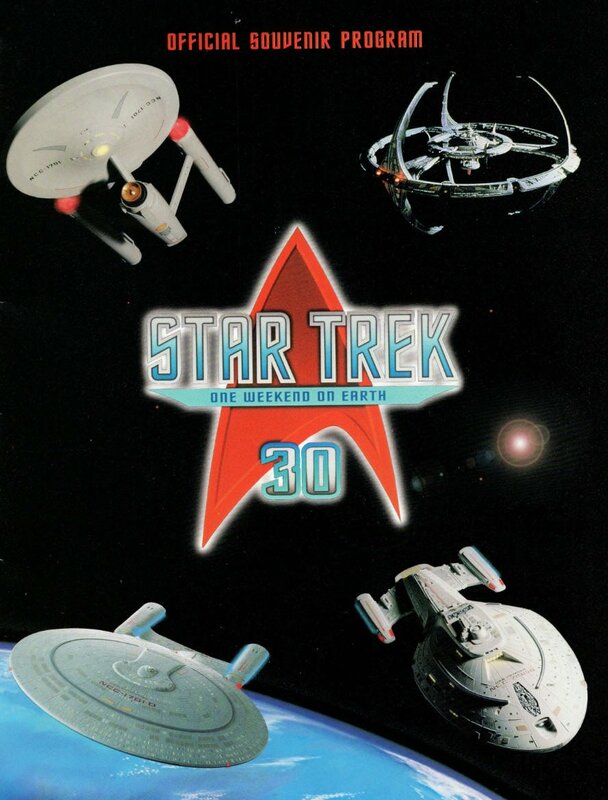 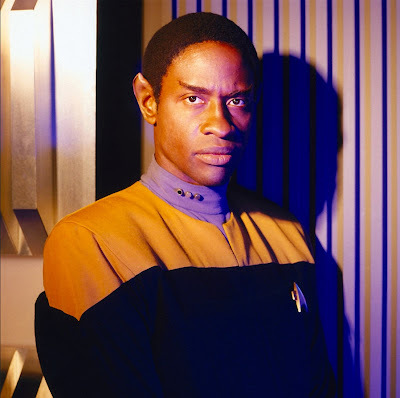 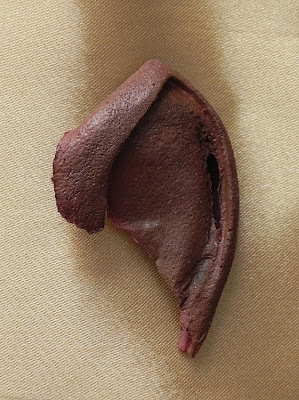 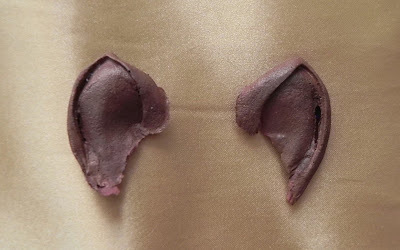 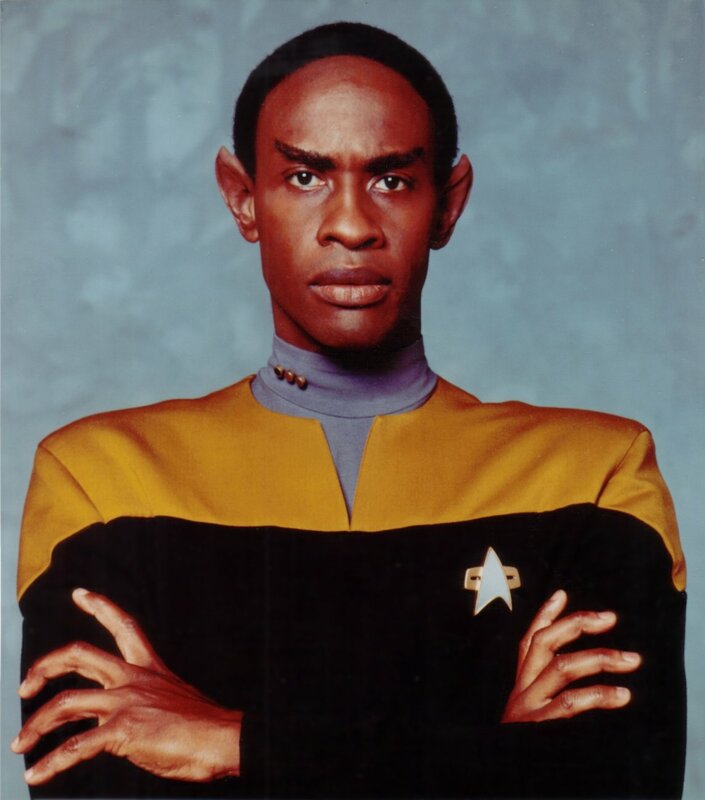 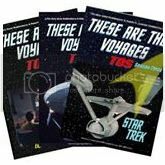 (The fifth series, Star Trek: Enterprise, had yet to be created; as it would not make its debut for another 5 years - in 2001.) 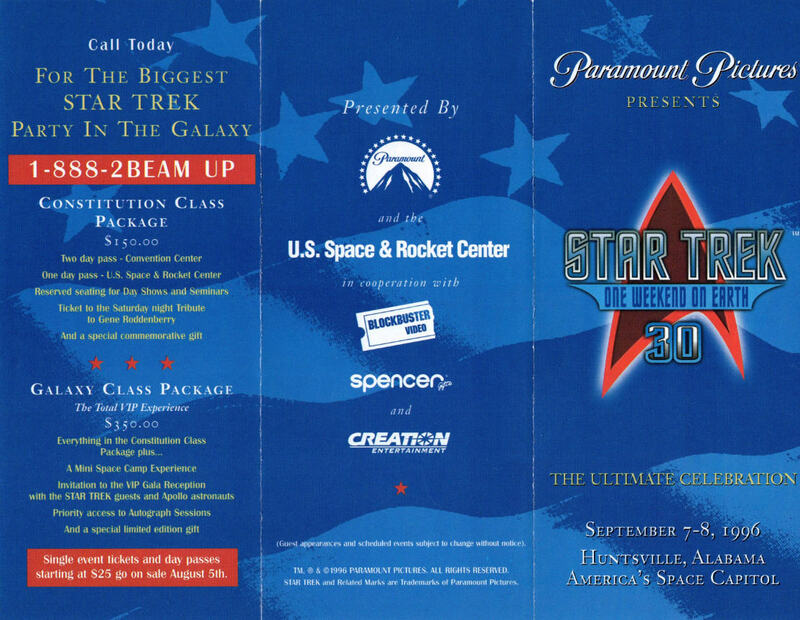 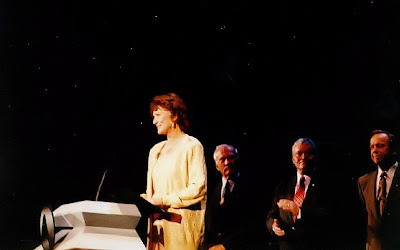 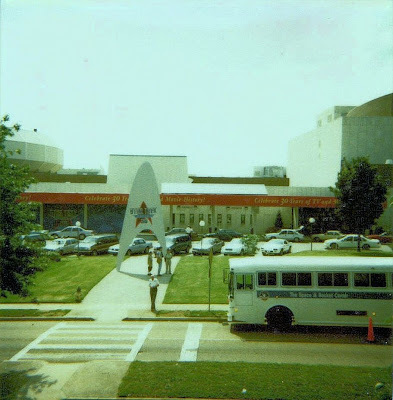 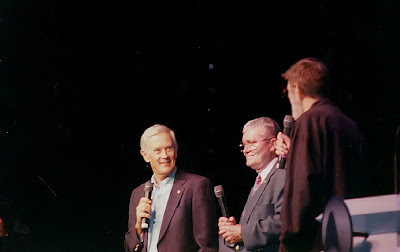 Star Trek 30 was unique in that the U.S. Space and Rocket Center partnered with Paramount to host the event; and a total of six former Apollo astronauts - including five moonwalkers: Buzz Aldrin, Alan Bean, Alan Shepard, Edgar Mitchell, Charlie Duke; and Apollo 13 Lunar Module Pilot Fred Haise - shared the stage with the Star Trek actors. 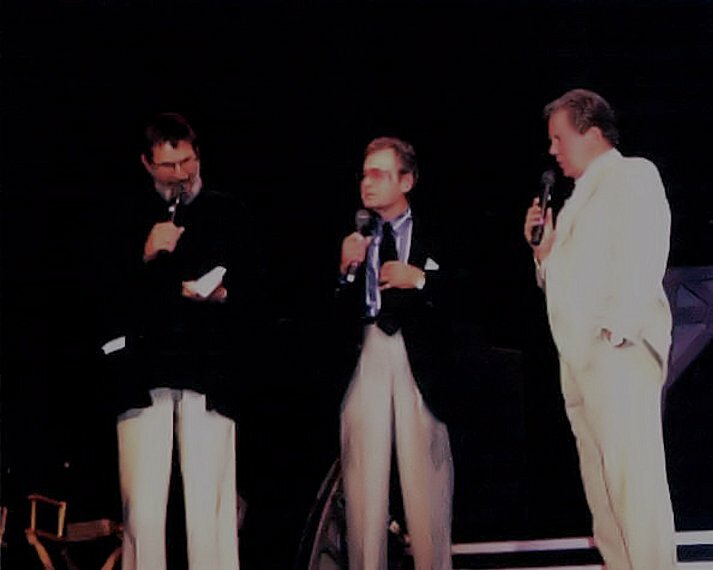 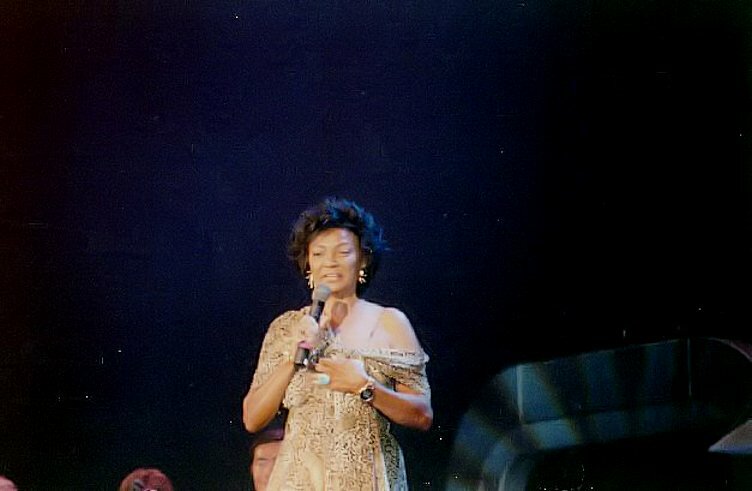 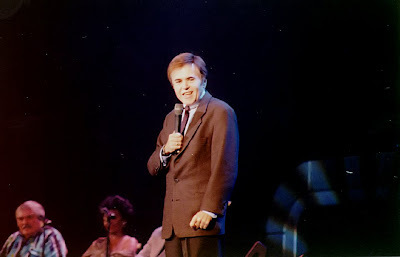 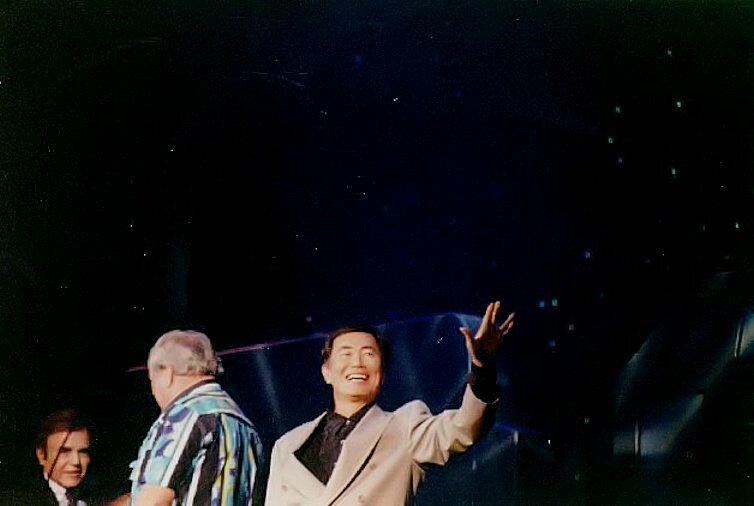 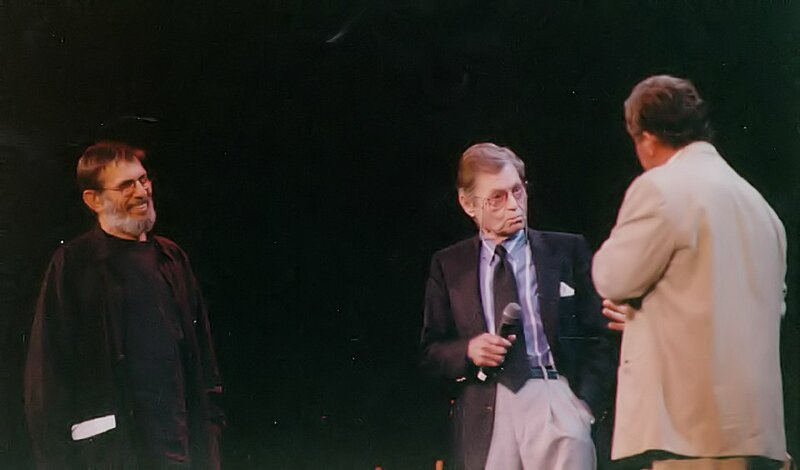 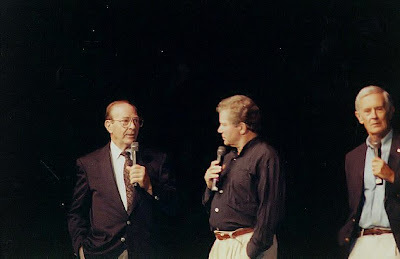 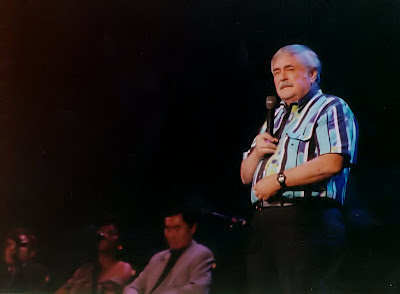 A special two hour 30th Anniversary Tribute show was held on Saturday evening at the Von Braun Civic Center Arena, and this was the last time that the entire Original Series cast appeared together onstage. 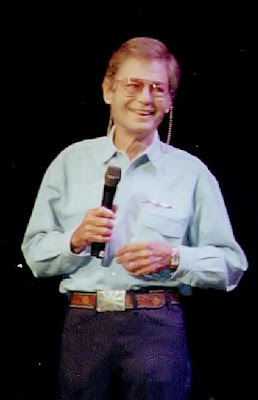 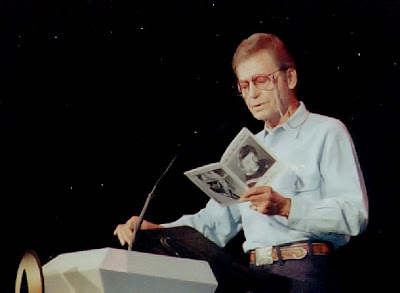 (Deforest Kelley, who portrayed the beloved Dr. McCoy in TOS; would pass away less than three years later in June of 1999.) 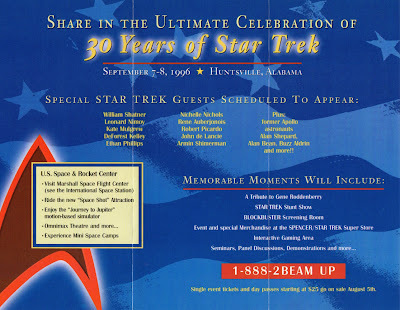 In honor of Star Trek, the Mayor of Huntsville Steve Hettinger issued a special proclamation to temporarily change the name of the city to STAR TREK, Alabama. 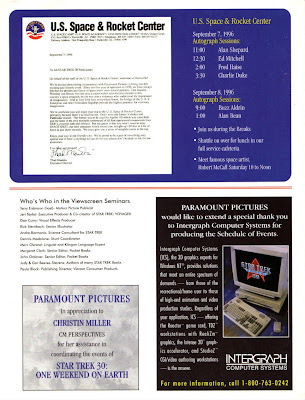 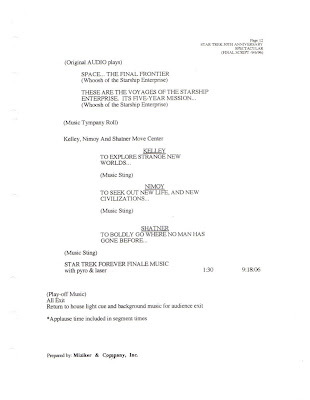 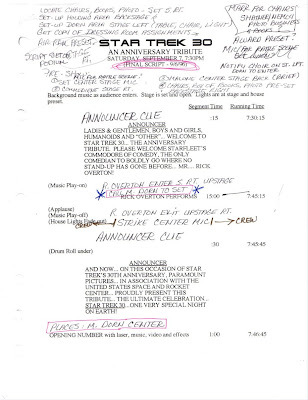 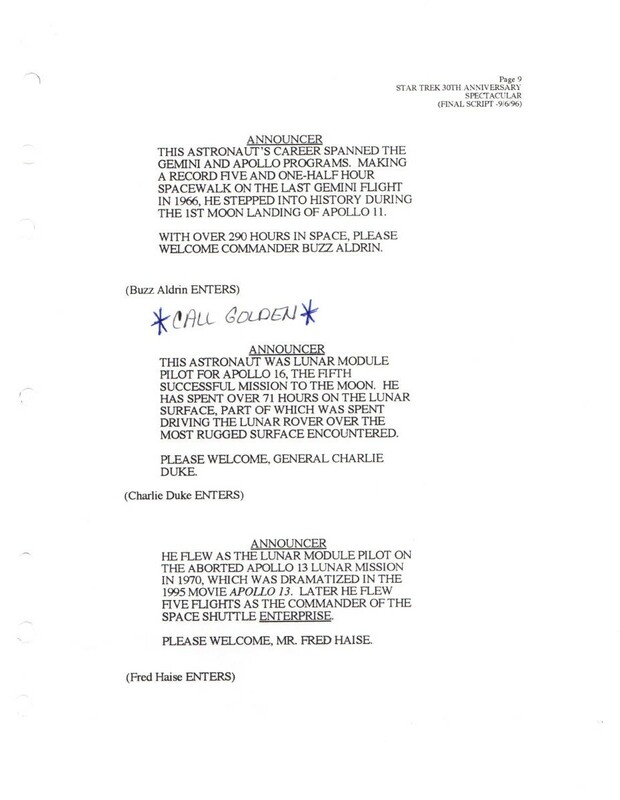 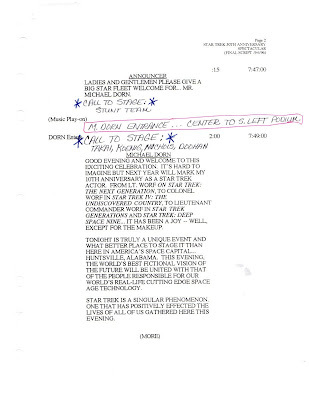 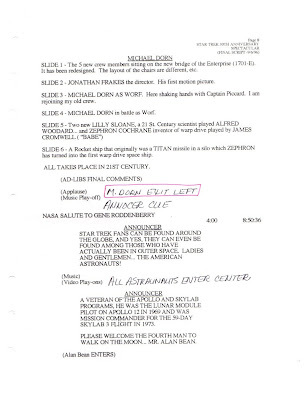 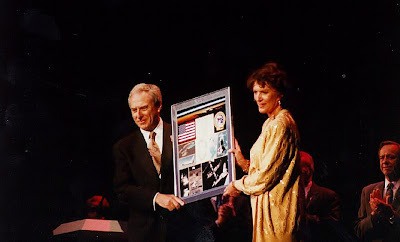 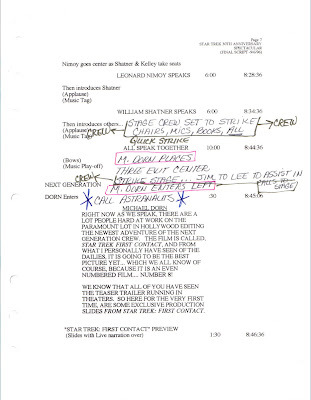 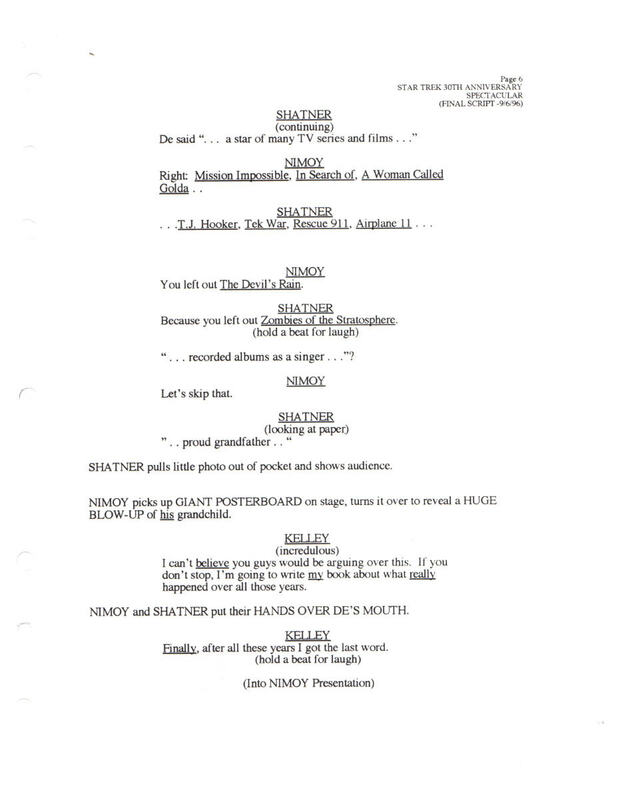 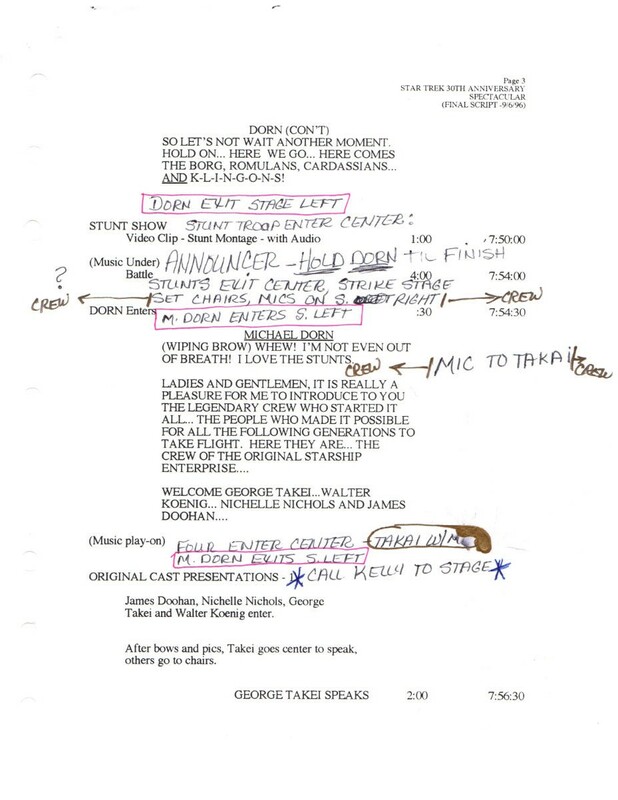 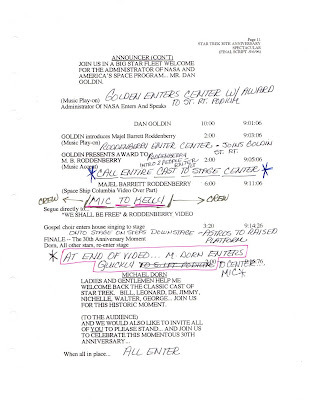 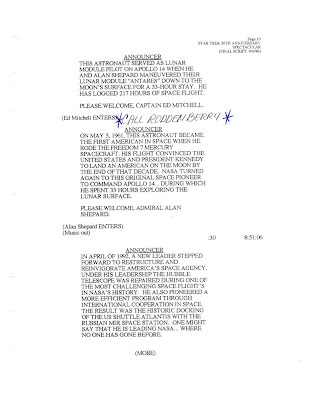 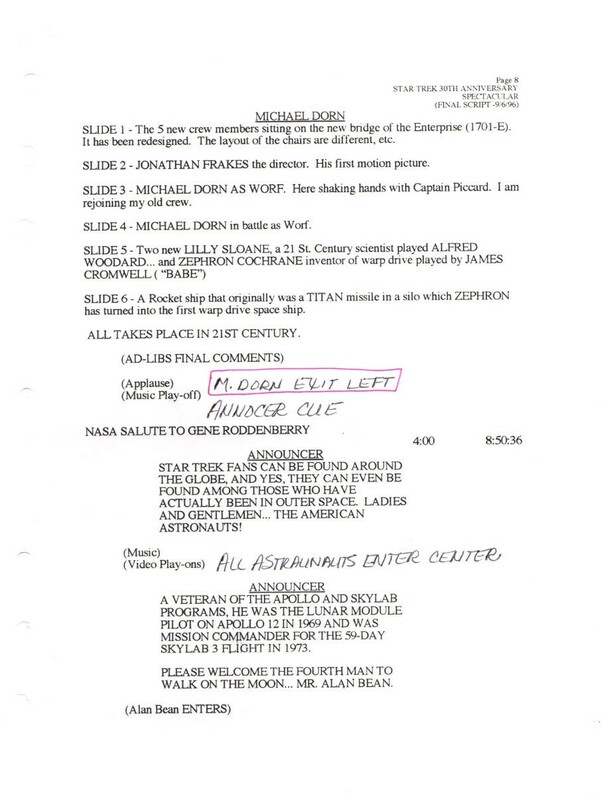 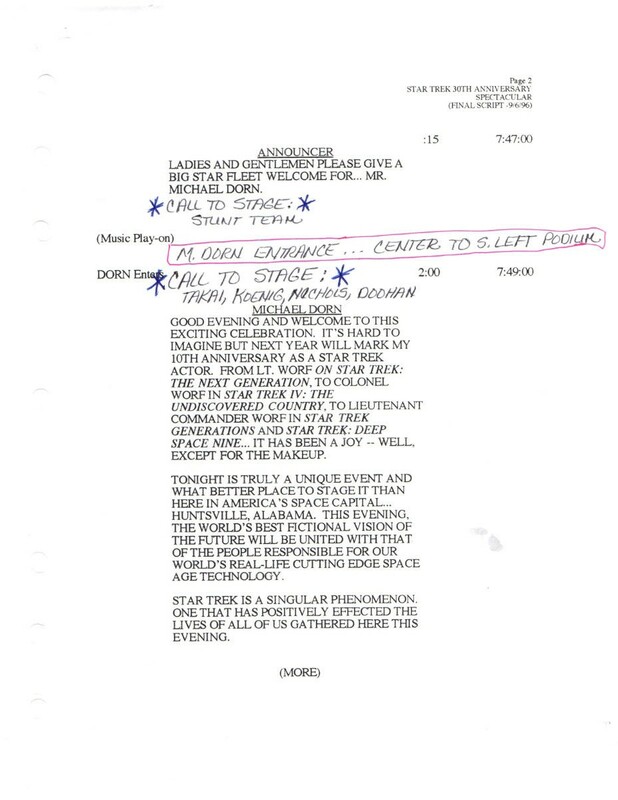 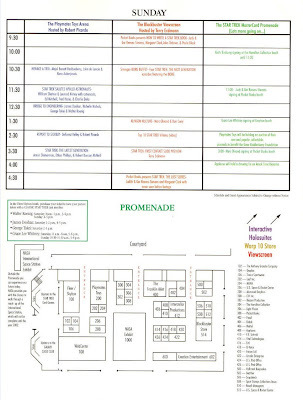 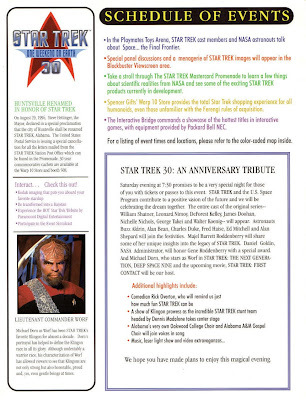 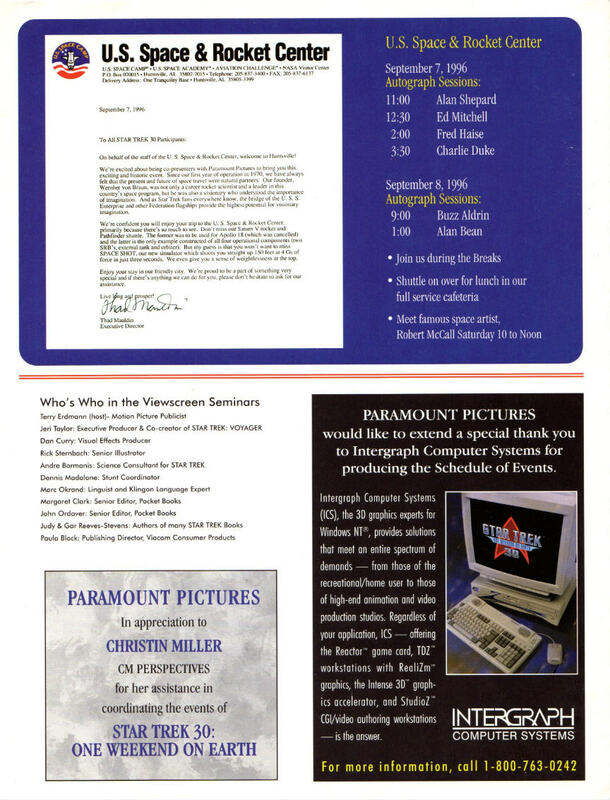 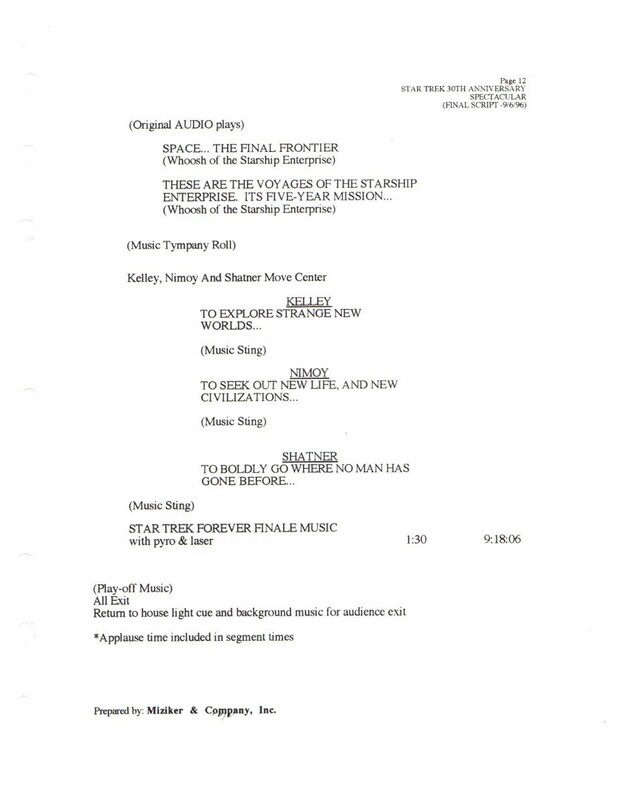 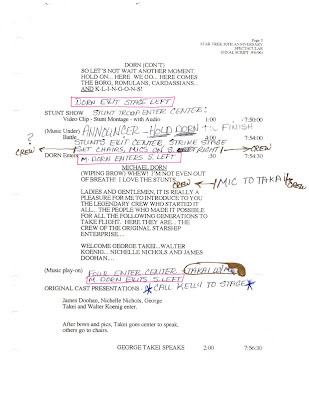 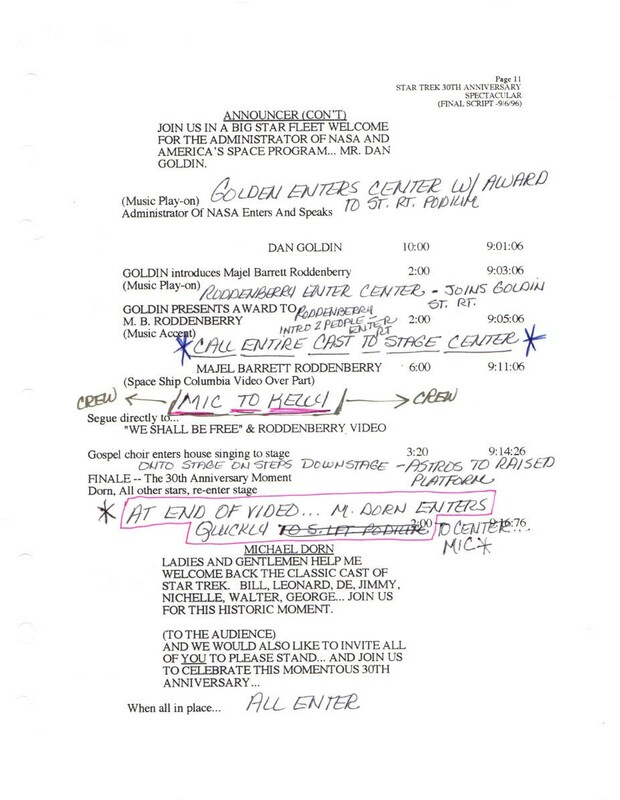 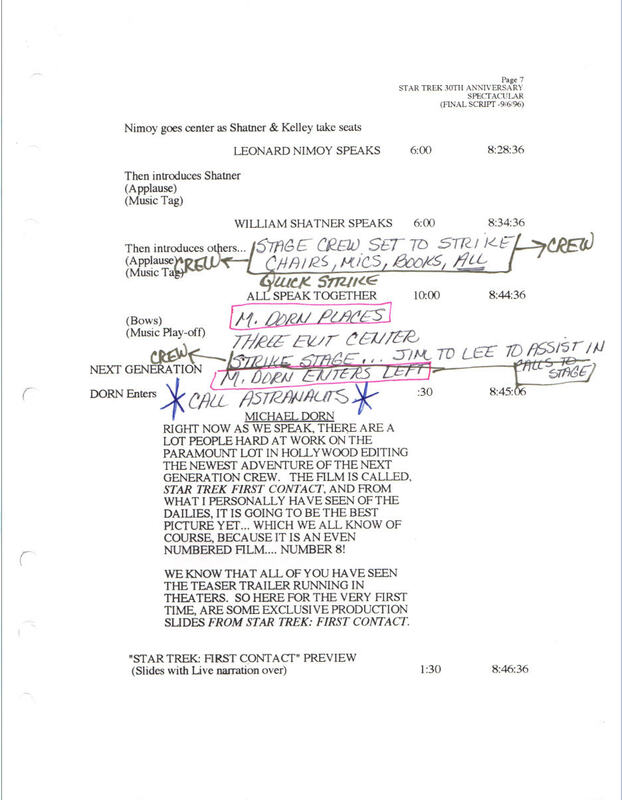 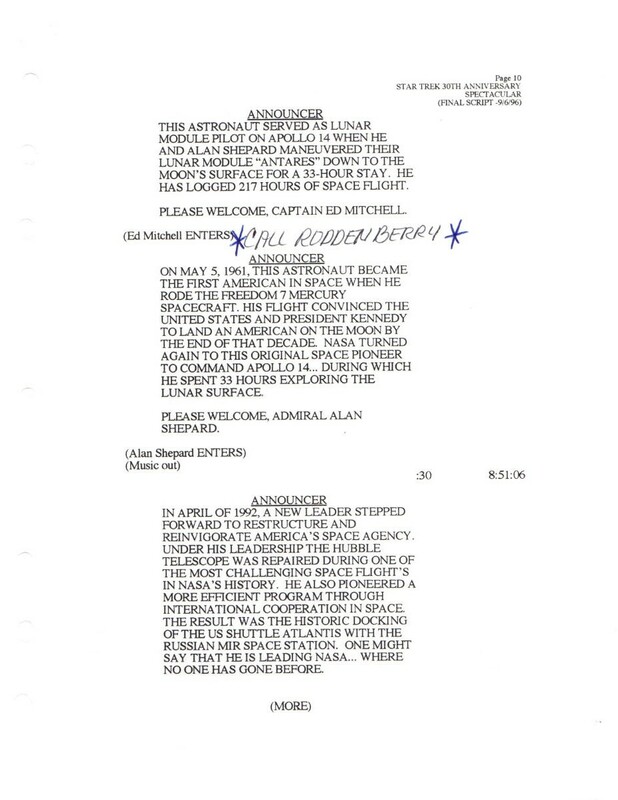 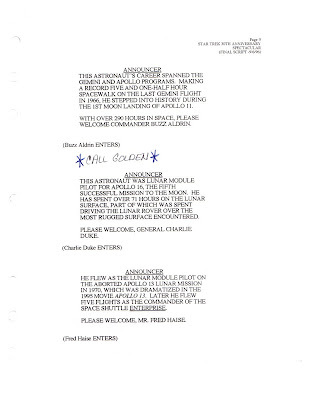 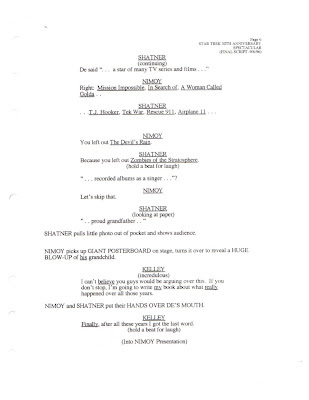 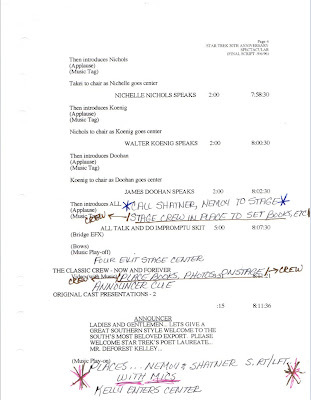 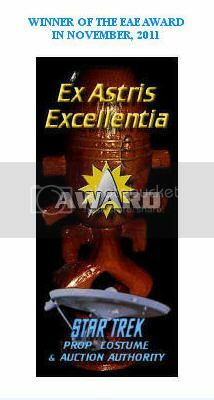 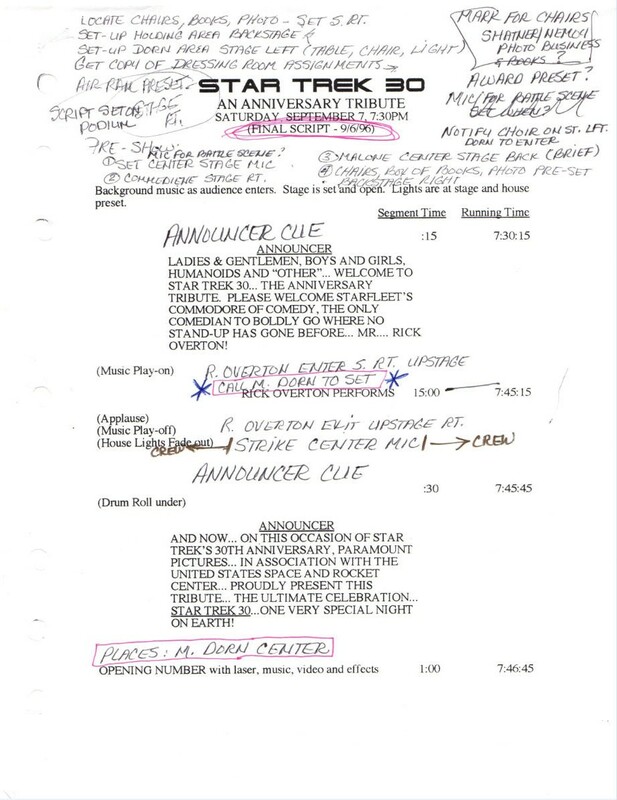 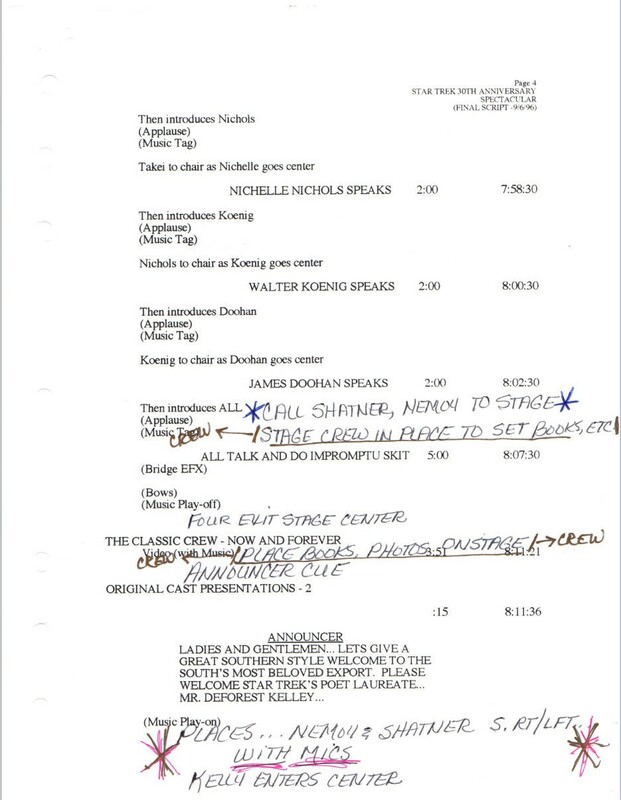 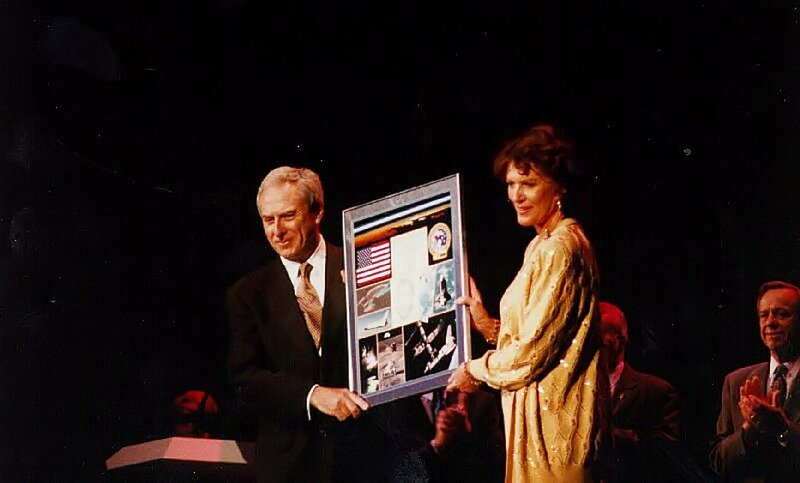 Presented below are some images of promotional material, mementos and a Schedule of Events for the convention, as well as a rare 12 page Final Draft stage director's script for the Saturday evening 30th Anniversary Tribute show, and many rare photos of the astronaut and actor guests as they appeared on stage. 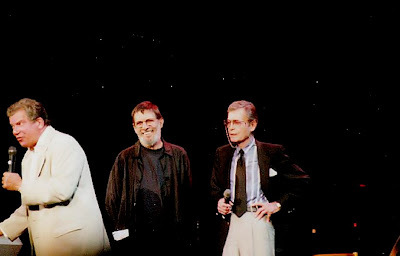 Special thanks to long time Star Trek fan Dana Holland for her very gracious permission to display numerous photos that she shot while attending different Star Trek 30 events as well as the Tribute show. 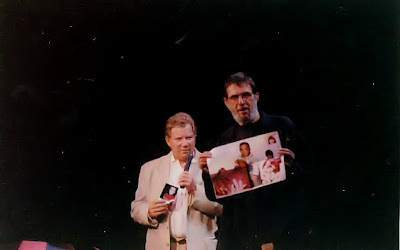 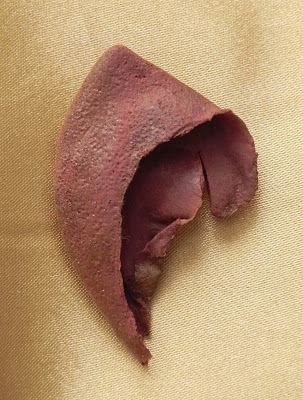 Those rare pictures form an integral part of this presentation. 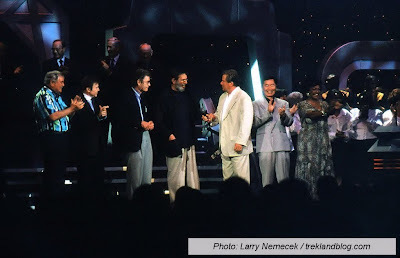 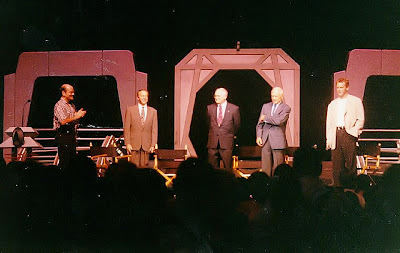 The final image in this post is a very rare shot of the entire TOS cast onstage together at the conclusion of the Tribute show - their historic last joint appearance at a Star Trek convention - and is presented with many thanks to noted Star Trek expert Larry Nemecek, author of the Star Trek: The Next Generation Companion and story writer of the Star Trek: Voyager episode "Prophecy", for his kindness in allowing this photo to be displayed.